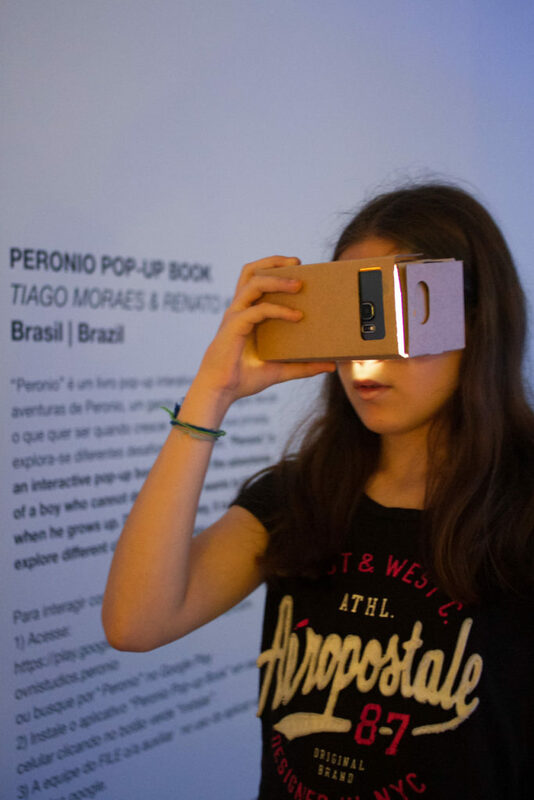 Unlike other games or interactive pop-up books, “Peronio” has a very creative and innovative approach to usability, combining Virtual and Augmented Reality in a unique experience that you will never forget! In fact, you can touch objects virtually without needing any additional device in your hands, like other screens or joysticks. As soon as the first page turns, we discover the adventures of “Peronio”, a boy who can’t decide what to do when he grows up. We follow him through this journey and explore several different challenges and mini-games along the way. In the game, “Peronio” doesn’t want to be a dentist just to take care of people’s teeth, but also to take care of the dragon’s teeth, because they have a lot of them. He also wants to be an engineer, not to fix cars, but to turn his father’s vehicle into a spaceship. The fantasy of children imagining their professions when they become adults is magical and this romantic view of things really fascinates us. Tiago Moraes (Ovni Studios), a Game Developer, is founder of Ovni Studios, a independent game studio passionate about innovation. He develops games professionally for 15 years and we always had the focus on different interaction experiences. At Ovni Studios, he create an Mobile Holographic gameplay combining Virtual reality and Augmented Reality technology into one unique immersible experience. Renato Klieger (Renato Klieger Creations), a Designer and Artist, developed his design and animation career pretty soon. During these years he specialized in TV animation, working for important companies as Animation and Art Director. He worked in many different fields from games to animation in advertising, but my passion was always cartoons and the kids universe.